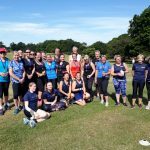 We are a small and friendly running club based in the Godalming and Farncombe area of Surrey, just south of Guildford. The club has runners of all ages and abilities, from those looking to improve their fitness through to those that run marathons and ultras. 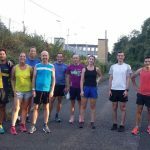 We meet regularly for both informal runs and structured training sessions both on and off-road. 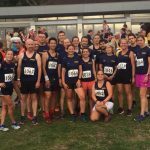 We take part in the Southern Cross Country League during the winter months and many of our members take part in local races all year round. 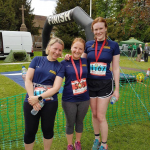 If you are looking for a friendly local running club in the Godalming, Farncombe or Guildford area of Surrey, then look no further! We're always looking for new members to join. Feel free to join us for two or three runs before deciding whether the club is right for you. We have several training sessions each week. Our main meeting is the Thursday evening run from Godalming (trail during the summer and on road during the darker winter months). Tuesday evenings are for our performance training sessions, alternating between the Charterhouse track and the hills of Godalming. Sunday mornings are time for a longer trail run, usually leaving from Godalming town centre. Please do feel free to come along to two or three runs before joining the club. 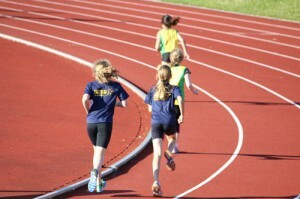 Waverley Harriers also has an active Junior athletics section for children. The Juniors train on a Tuesday evening. During the summer months we train for track and field at Charterhouse school. For the winter months we train indoors. We also compete in the Wessex track & field league and the Border cross-country league. Never run before? Want to start running? 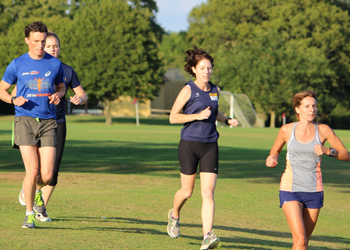 We aim to run two ‘Couch to 5k’ groups each year for complete beginners to running. Our next programme will start after Easter on Thursday 25th April and will last for 9 weeks. Click below for more details. Congratulations to this year’s C25K group!